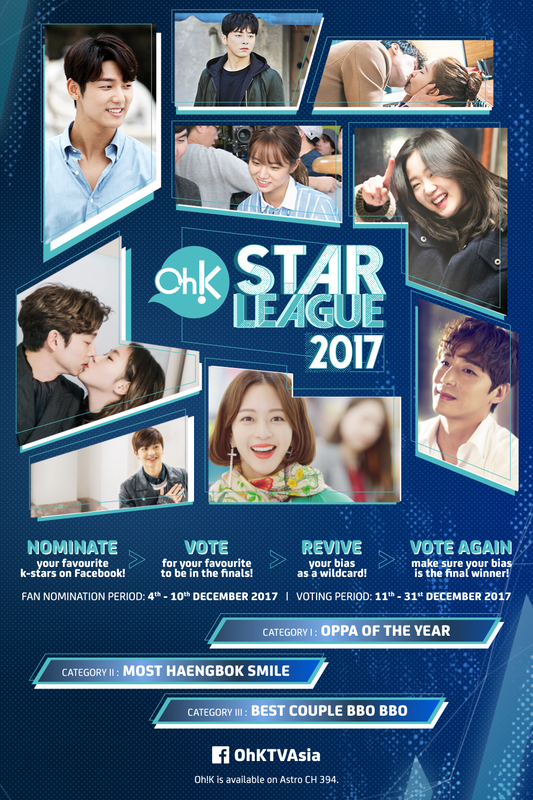 GOKPOP | Exclusive K-News in Malaysia & Singapore: Oh!K Star League 2017: Nominate, Vote and Win K-drama themed plushies! 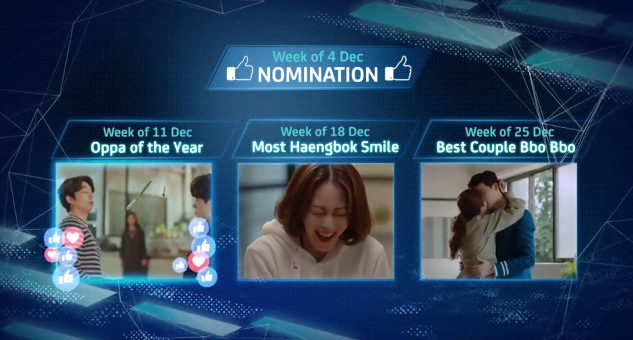 Oh!K Star League 2017: Nominate, Vote and Win K-drama themed plushies! The most anticipated time of the year is just around the corner for all Malaysian K-pop fans. The MBC 2017 Korean Music Festival will kick off on 31st December 2017 and Oh!K (Astro Ch. 394) will be airing it LIVE this year! To keep the excitement alive throughout the month of December, Oh!K will be hosting their very own Oh!K Star League 2017 Facebook contest! During this contest, fans will get the opportunity to win K-drama themed plushies (think Goblin!) every week just by nominating and voting for their favourite Oppas, Unnies and Noonas in three different categories. *total of 6 winners will be selected in each week and awarded to 1 Bonicrew Plus Toy + 1 Oh!K goodie bag worth total of USD$80. Be sure to LIKE OhK TV Asia Facebook page to stay notified.